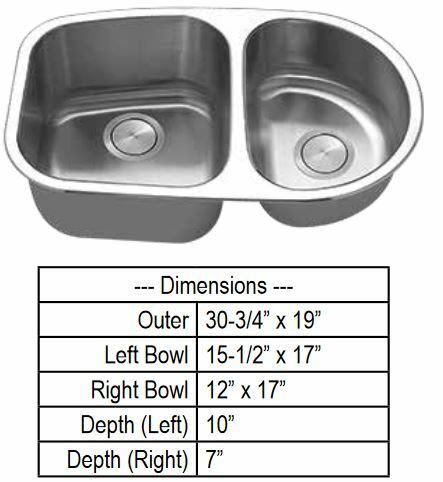 Below are images of common undermount stainless steel sinks available for purchase through the Kitchen Gallery. When you are selecting granite, quartz or an acrylic type countertop you will likely want an undermount sink because of the look and ease of cleaning. 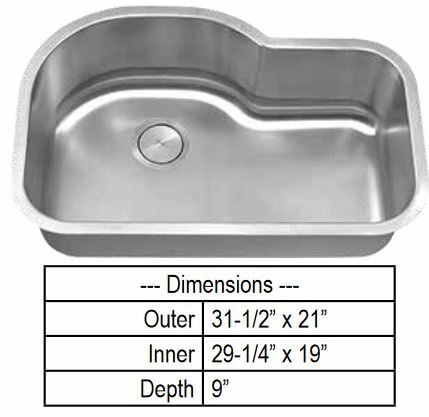 When purchasing an undermount stainless steel sink one thing to note is the gauge steel being used. 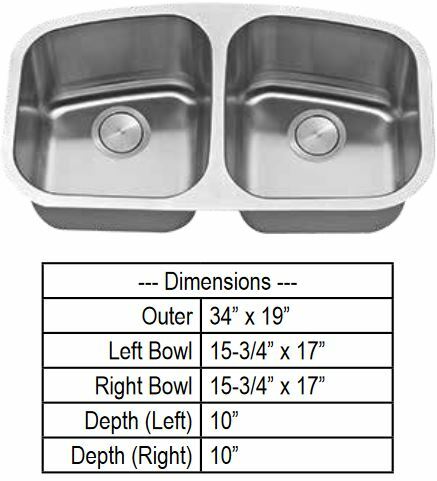 A 16 gauge stainless steel sink is heavier/thicker than an 18 gauge stainless sink. The benefits of a heavier 16 gauge over a 18 gauge is strength and likely better sound deadening characteristics. 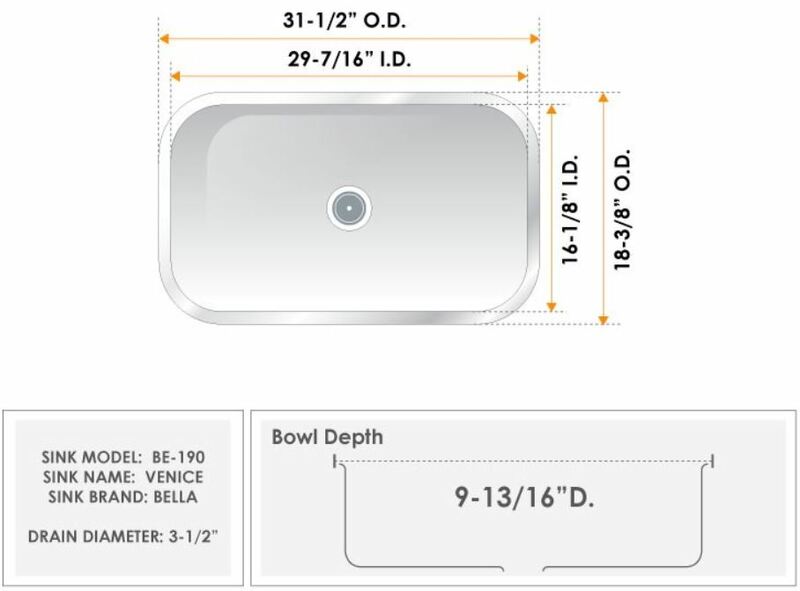 A sink manufacturer will refer to a sink by name or model number and then describe the bowl configuration. 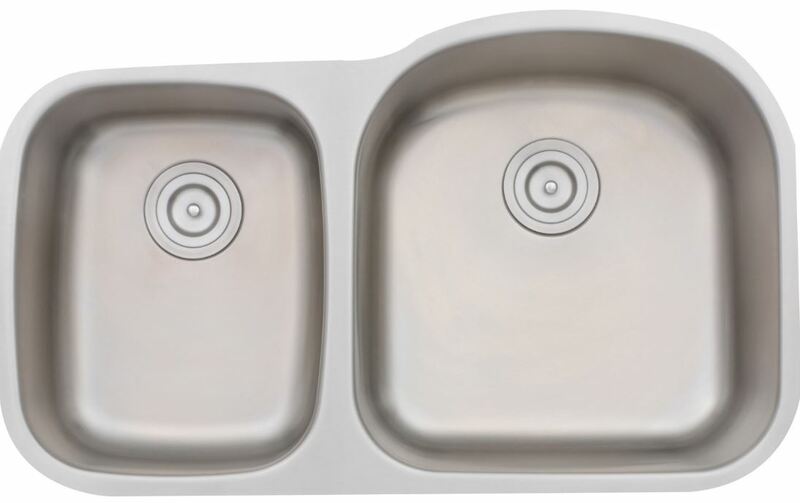 For example, below the "Milan 30/70" sink bowl configuration indicates that the left side of the sink takes up 30% and the right side of the sink takes up 70% of the overall sink width. 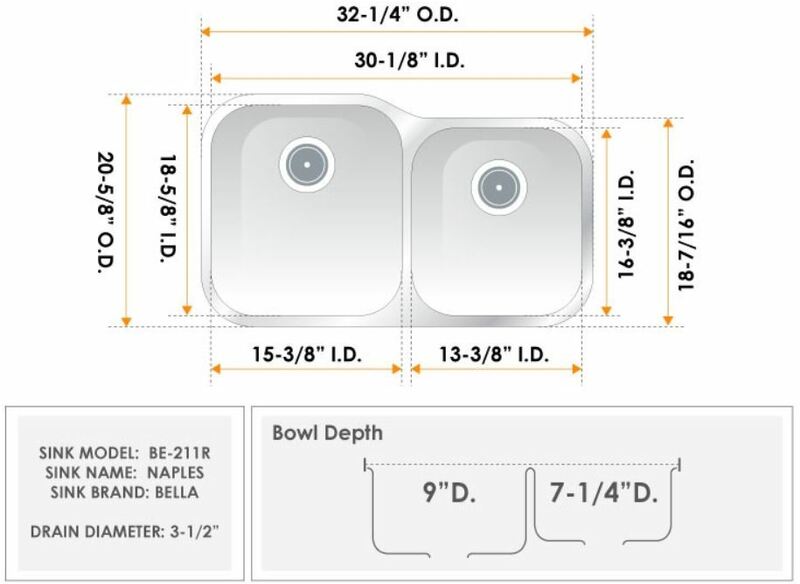 If you wanted the small bowl on the right side and the large bowl on the left, in other words a "Milan 70/30" sink, in most cases that reversed sink configuration is available. 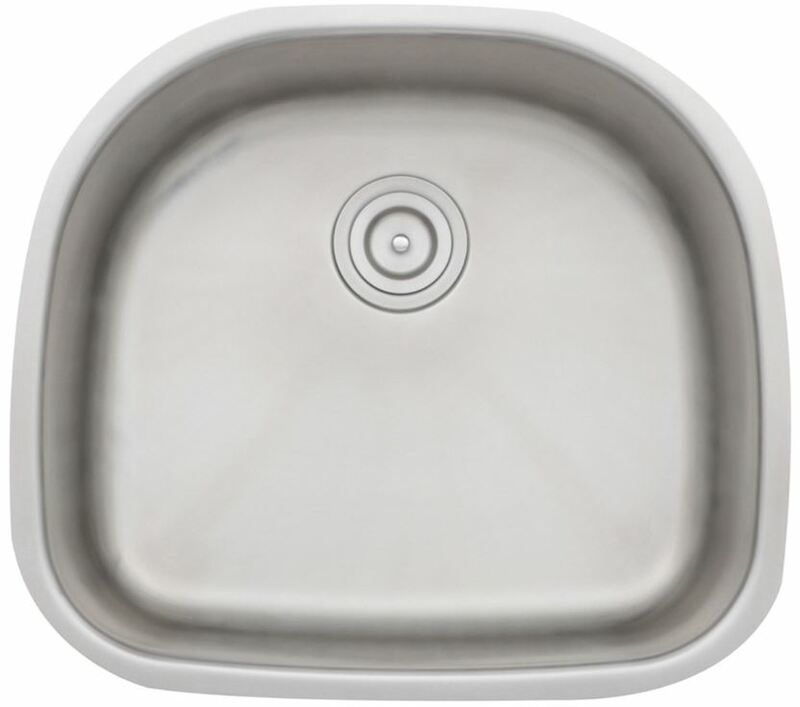 Contrary to over the counter sinks, undermount sinks do not come with pre-drilled holes for the faucet. The faucet drilling for an undermount sink will be made on the countertop usually by the countertop fabricator. Keep in mind that the size of your sink base cabinet will influence how wide your new sink can be. 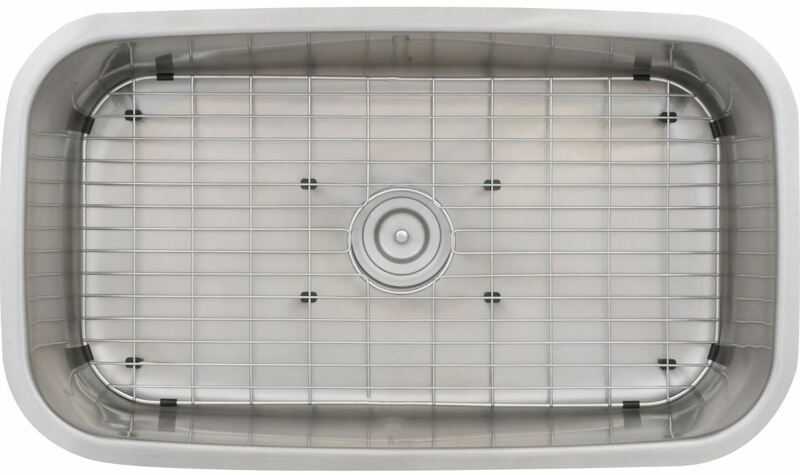 The most common width sink base cabinet is 36 inches. 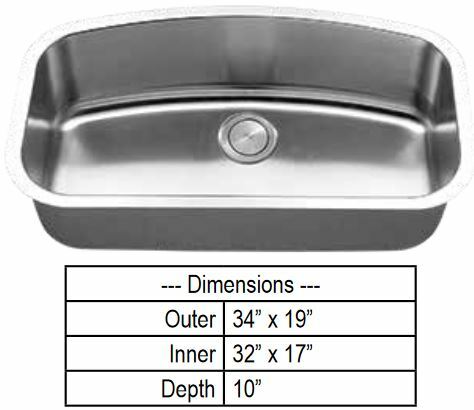 If your existing sink base cabinet is 36 inches wide, then you will need to select a sink that is less than 36 inches. 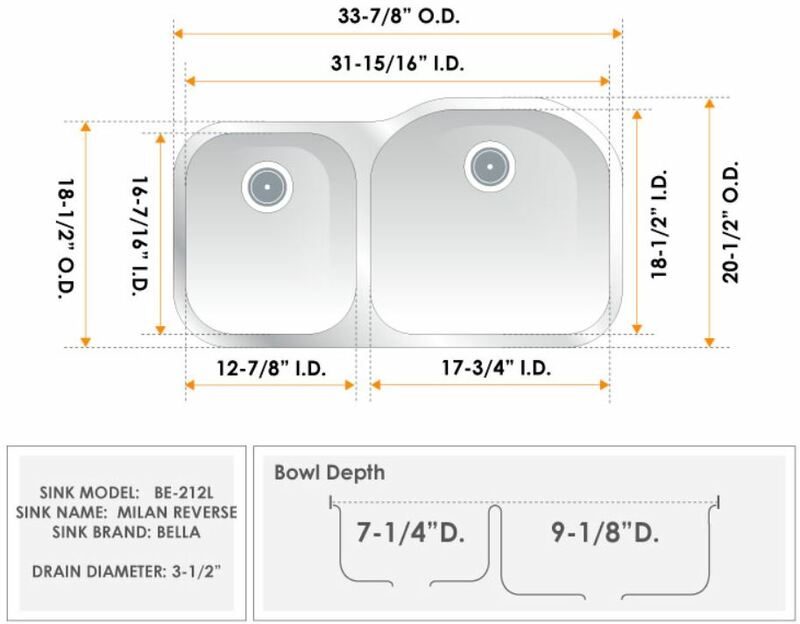 If you are installing new cabinets and want a sink that is larger than 36 inches, then be sure to communicate this with your kitchen designer or the Kitchen Gallery. 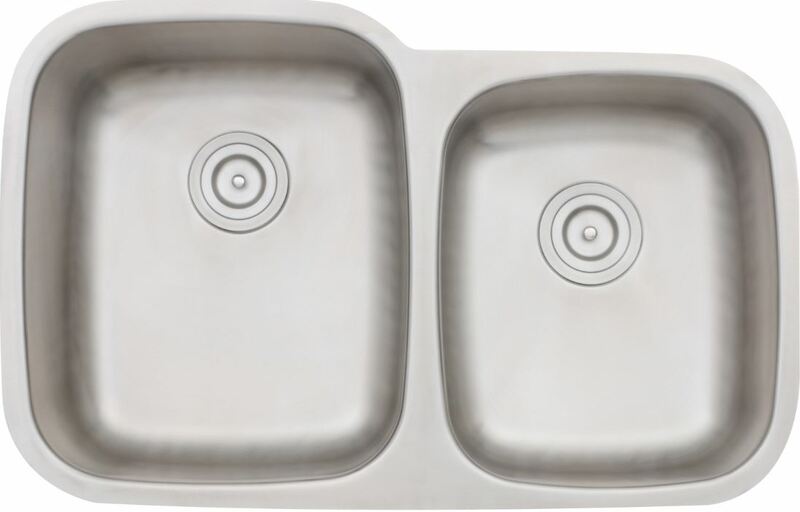 The "Roma" sink shape above will likely require the faucet to be placed on one of the back corners (not centered) of the sink due to sink base cabinet depths are most commonly 24 inches. 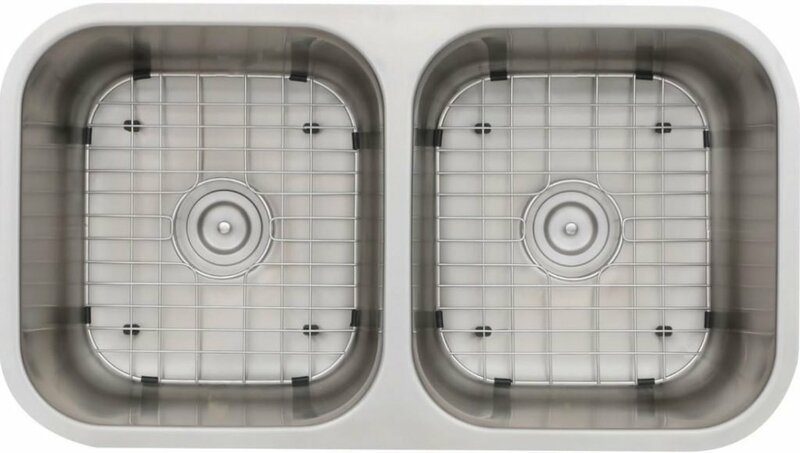 The above undermount sinks are made from premium satin pearl 16 gauge stainless steel with a brushed deck flange and sound deadening insulation. 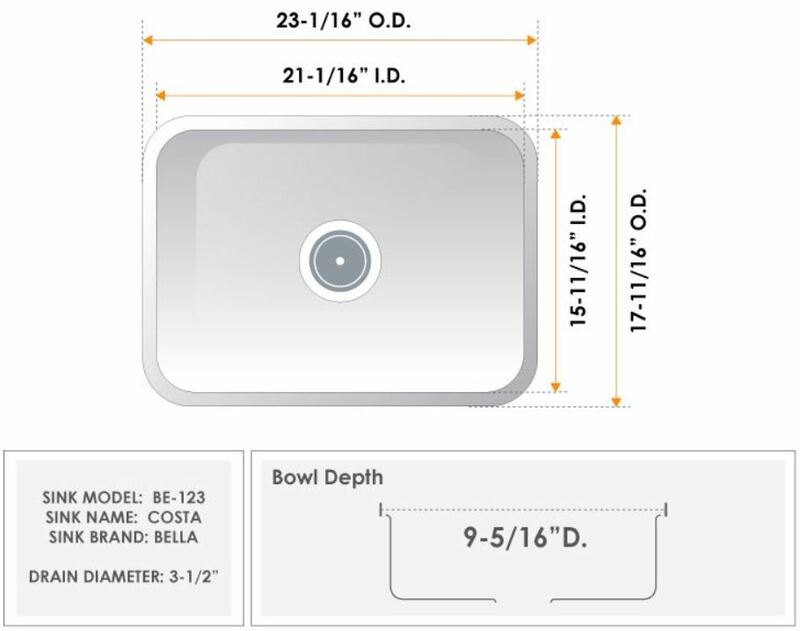 The Bella sink offering comes with a limited lifetime warranty. 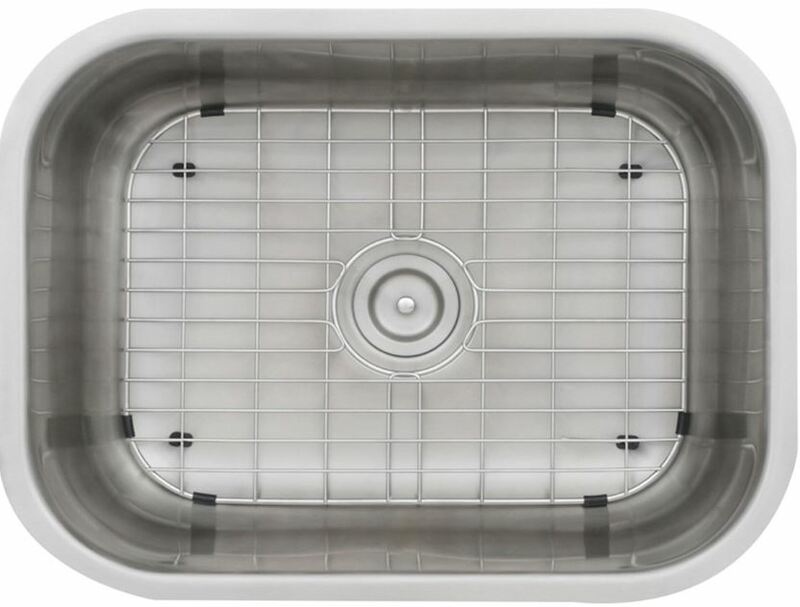 Most sinks will include an accessory kit containing one deluxe strainer basket, Eco-friendly bamboo cutting board, protective bottom sink grid(s) and care kit. 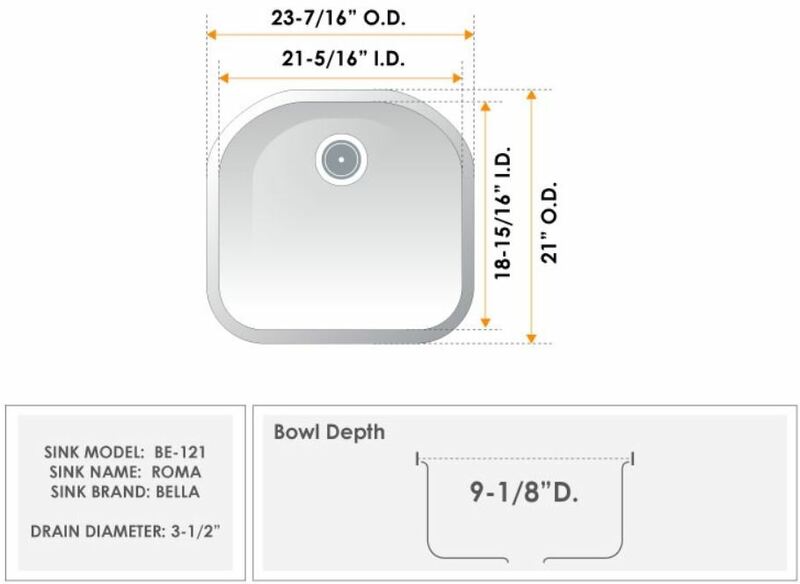 Other sink options are shown below. If you don't see what you like. The Kitchen Gallery can purchase any plumbing fixture at the Ferguson Bath, Kitchen and Lighting Gallery in Portsmouth, NH. If you would like to set up an appointment to meet with a plumbing specialist let the Kitchen Gallery know. 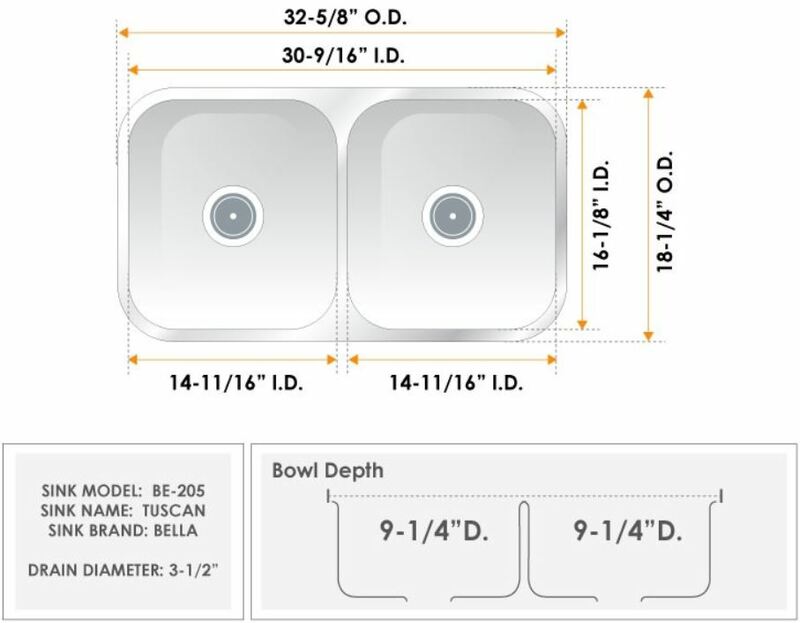 Below is a quick video demonstrating the Bella undermount stainless sink package.